How many active faculty members exist for Spring 2016 - Fall 2016, and what percentage logged in? How many Student Supervision activities were reported within the College of Business for Spring 2016 - Fall 2016? 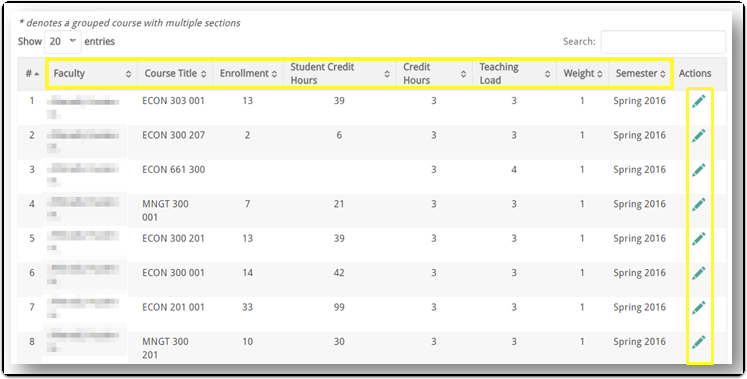 What is the total number of Credit Hours, Teaching Load and Student Credit Hours for each college and for each department within the college for Spring 2014 - Fall 2014? To access the report, click Admin section in the navigation menu, then click Reports. The Reports screen displays. 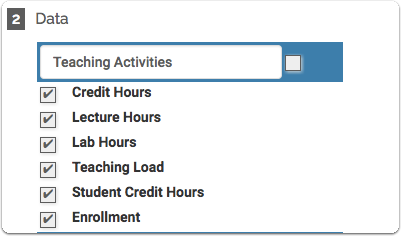 Select Activity Overview - By Semester (under Administrative Reports). 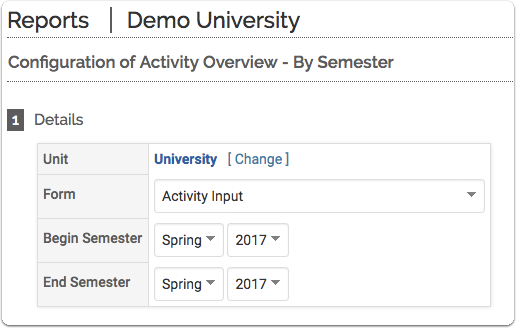 The Configuration of Activity Overview - By Semester page displays. Begin and End Semester: Select the academic terms to be reported. Teaching Activities: Select the fields under Teaching Activities to display on the report. 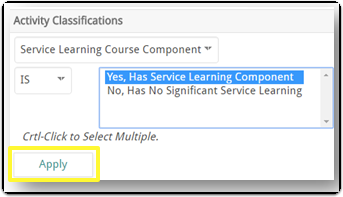 Note: Clicking the checkbox to the right of Teaching Activities acts as a toggle to Select All/ Deselect All fields. Scholarly Activities: Select the fields under Scholarly Activities to display on the report. 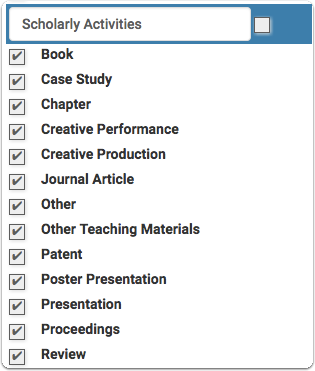 Note: Clicking the checkbox to the right of Scholarly Activities acts as a toggle to Select All/ Deselect All fields. Other Activities: Select the fields under Other Activities to display on the report. 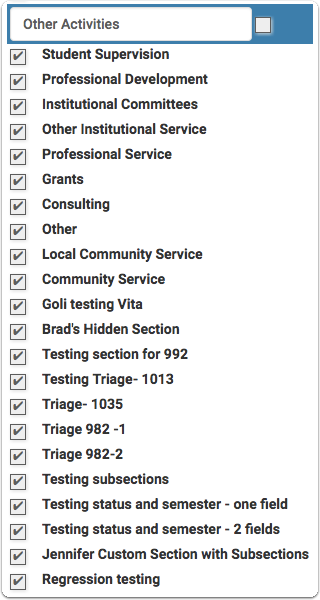 Note: Clicking the checkbox to the right of Other Activities acts as a toggle to Select All/ Deselect All fields. Click Generate Report. The Activity Overview - By Semester report displays. 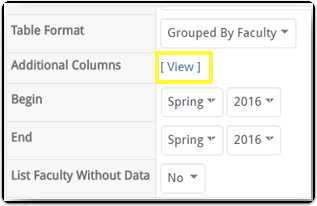 To view the data by semester within the unit, click the down arrow icon. To view all semesters, click the down arrow icon in the Unit heading. The activities are listed by unit and by academic term. Click a hyperlink to drill down on an activity. 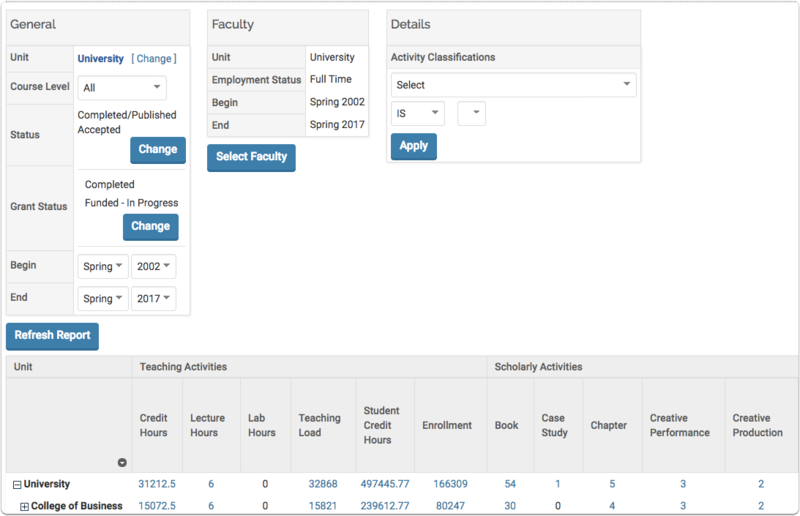 For example, click the Spring 2016 Teaching Load link for the College of Business to view the Teaching Load activity for Spring 2016 in the College of Business. The details of the activity for each faculty member display. Click the Edit (pencil) icon to emulate the faculty member and view/edit the activity. To filter the faculty selected for the report, click the Select Faculty button to use the faculty selection tool. 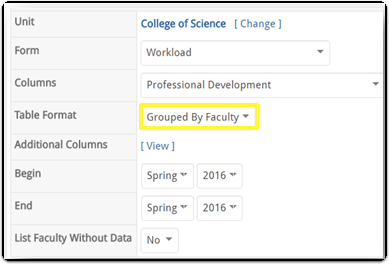 Select "Grouped by Faculty" from the Table Format drop down. Then, click Refresh Report to view the updated report. The report is grouped by faculty. 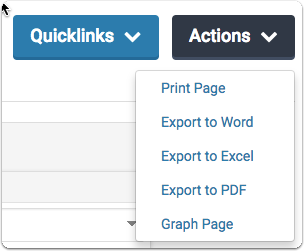 The icons at the top of the page can be used to print, export to Word, export to Excel, and export to PDF. A list of additional columns display. Select the columns to be displayed in the report and click the Update button. The report refreshes and displays the added column(s). Select the criteria for the activity classification. Click Apply. To clear an Activity Classification from a given report, click the X next to the filter.